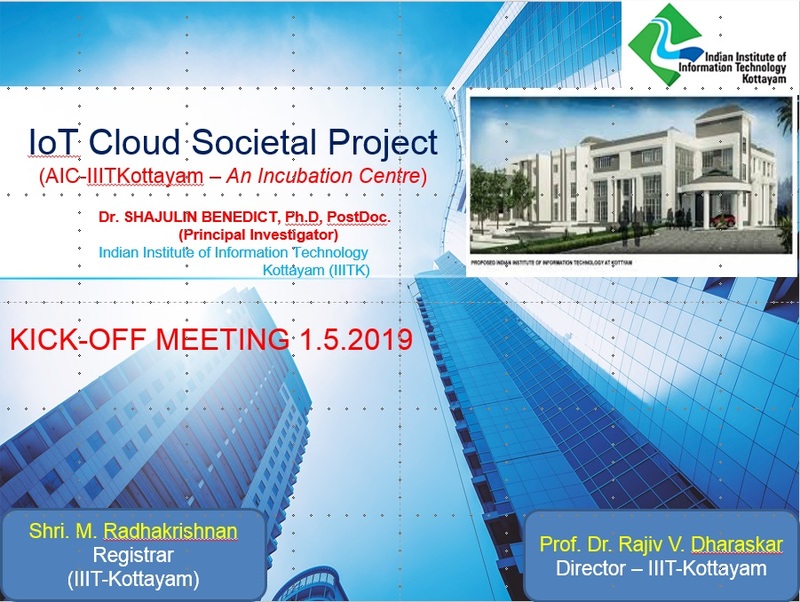 of the Indian Institute of Information Technology Kottayam (IIITKottayam) on IoT Cloud Societal projects. Acknowledges: AIM-NITI scheme of India. IoT-CSP-IIITKottayam is the incubation centre of Indian Institute of Information Technology Kottayam under AIM scheme of India (shortlisted). We offer training in order to gain knowledge (both practical and theoretical) for incubatee developments. IP support will be provided at our centre with leading mentors of IoT-CSP-IIITKottayam. Knowledge hub for developing products will be offered to the incubatee via. brainstorms or hackathons. Sales and marketing department of IoT-CSP-IIITKottayam will ensure that the product will be utilized in the society. Reputation for both mentors and incubates will be ensured at IoT-CSP-IIITKottayam. 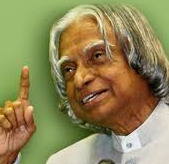 International and National collaborators or industrialists will be invited for wide visibility. We keep our partners, including mentors, very close to our customers. Apply Now for recognition.. The strength of the partners will be reaped in to the centre. 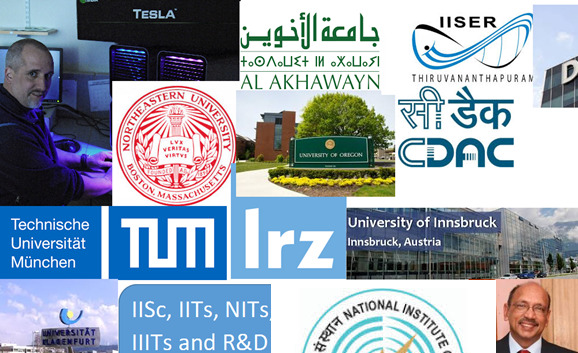 For instance, IISER-TVM is a sort of knowledge park. We will include their strengths by directly connecting experts to our customers. We expand the networking (contacts) with the support of the proposed partners for attracting a few more customers in the long run. 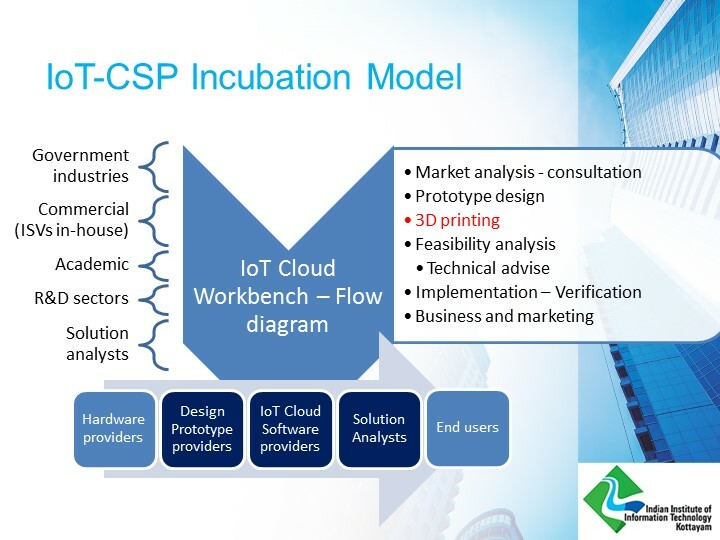 We inspire our partners and customers to submit a few innovative R&D projects so that the expertise level of IoT-CSP-IIITKottayam will be increased. We periodically verify and satisfy the existing customers so that they will remain as an indirect advertisement medium of the centre. Apply Now for recognition..
Dr. Ebin Deni Raj – Asst.Professor (Adhoc), IIITKottayam. Ms. Preethi M. – TBI, NIT, Calicut. IoT Specialist, Former Vice-Chancellor, Devi Ahilya, Indore. 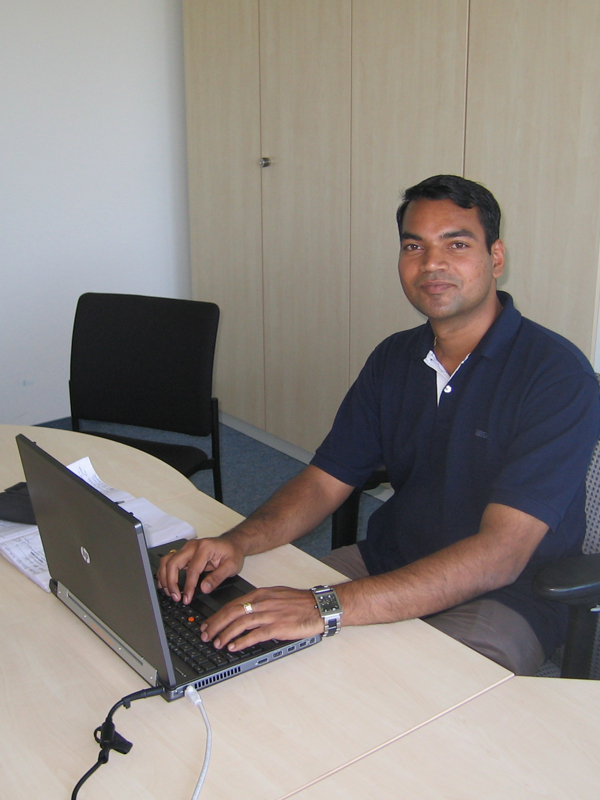 M.D., Torvin technologies pvt. Ltd.
Bharat Electronics India Pvt. Ltd.
Industry-Research Oriented Summercourse on IoT Cloud Product Development Program - a joint event with 3DDivella, Dolcerra, and IIT Professors. 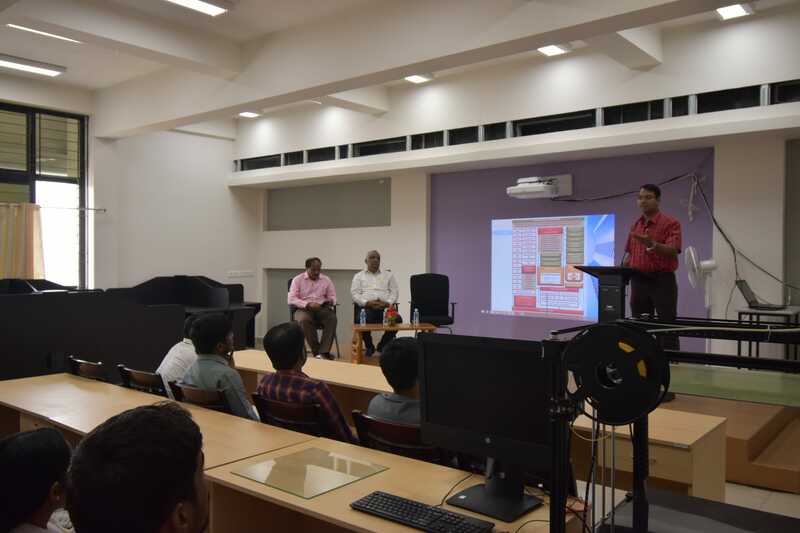 IoT Cloud applications for societal benefits are targetted at IoT-CSP-IIITKottayam. Building no.340, Karoor Valavoor.P.O., Kottayam, Kerala 686635. Copyright © 2018-2022. All Rights Reserved. Designed by IoT Cloud research team of IIIT Kottayam.